Jeff Miller is the director of project management for Interstate Control Systems in Sioux Center, Iowa. Jeff has been actively engaged in CSIA since Interstates joined the association nearly 17 years ago. Among other things, he has served as a key leader on the Best Practices Committee and as treasurer on the CSIA Board of Directors. Jeff will serve as the CSIA chairman of the board starting in 2017. Learn more about Interstates Control Systems and how they can help on your next systems integration project. 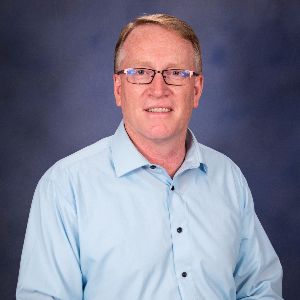 Jeff Miller, Interstates Control Systems, Inc.
We take huge pride in being able to really dig in with our clients, understand their needs and then deliver exceptional value as we help them figure out how to solve their problems. Our goal is to really understand why the client is doing the project and ultimately what success looks like to them. We specialize in rip and replace retrofits of control systems for facilities where they cannot handle more than a few days of downtime. We come in on a Friday afternoon with a huge team and by midnight on Sunday evening we may have completed the rip and replace and fully tested the system and have them back up in production. This takes a huge amount of up-front engineering and coordination during the shutdown. It also requires a built trust with the client and a lot of contingency planning. One project, in particular, was overly complicated as we had to demo out the entire manual control painted graphics panel that had been in place for 20 or more years and the controls had been retrofitted several times during that timeframe. We removed a dumpster full of wire. When it was all said and done, only had a few devices failed to operate when we began testing. The client was very concerned about whether we could make it happen, but ultimately was extremely satisfied. Interstates currently performs systems integration work in most of the major control platforms. We were one of Rockwell’s first systems integrators to obtain Solution Provider status in all five of their solutions areas. We are also registered solution providers in Wonderware System Platform and Intellution iFix. We work in all Siemens PLC and DCS platforms, as well as WinCC HMI. We are current in GE PLC and HMI platforms, as well as Schneider platforms. How much of your business is repeat? Interstates currently has 80 to 85% of their business from repeat clients. This is really at the core of why we continue to grow at this pace. We actively pursue new clients and markets to ensure we are diversified, as well, but we do everything we can to ensure that once they use Interstates they stay with Interstates. Our current client satisfaction score for a rolling 12 months is at 4.2 out of 5.0 which shows that we work hard to make sure we do what we say we will do. What advice would you give to a prospective customer researching automation/controls engineers or system integrators? When searching for a systems integrator to build your next project look for one that can prove they have a good PM methodology. Ask to see examples of how they develop requirements and get them approved. Ask them to explain their Factory Acceptance Test process as well as their process for conducting checkout, commissioning and startup of your equipment. You are investing a tremendous amount of money to improve your plant and you want to know that your systems integrator can take on the challenges and keep you in the loop along the way. Share the history of how Interstates began and how the company has evolved in the automation industry. Interstates began as Johnny’s Electric back in the 1950s. They sold TVs and air conditioners and then wired the homes to be able to use them. They later expanded into commercial electrical work and then into industrial work in the large grain handling industry. After moving to the industrial side of things it became evident to the owner that computers would soon be running industrial facilities. The owner hired his first computer science graduate in 1983. It wasn’t long until he had a whole department doing PLC and relay logic control panels with huge graphic boards for HMIs. As the PC became more prevalent they switched to PC-based HMIs with the manual graphic boards as the backup. Just last year we replaced one of our first painted graphics boards (in a flour mill) with a completely modernized control system, installing huge monitors on the wall where the painted graphics boards had been. Many of our clients today have been with us for 25 + years. Why should a prospective customer hire a CSIA member? Being “just” a CSIA member may not give the client a huge advantage unless the integrator has worked to implement the CSIA Best Practices into their day-to day-systems. CSIA’s best practices cover every area of the systems integration business, from business practices, accounting practices, business development practices, human resources, project management, system development lifecycle, security and support services. By implementing Best Practices, the SI is much more likely to deliver a quality project that meets their user specifications. Those that have gone the extra mile and become CSIA Certified have proven that they not only have these policies in place, but that they actually follow them. Obviously this doesn’t guarantee that every project runs without a hitch, but it certainly improves the odds. What challenges are you customers facing now? Many of our clients have faced the downsizing of their engineering departments and thus have to rely more and more on their system integrators to help them with the front-end engineering work. They are seeing continual pressures on where they spend their capital budgets and, in some cases, need very short payback periods. Many of our clients are also facing automation system obsolescence issues in which they can no longer buy spare parts. These retrofit projects make it harder for them to show an ROI, unless they also do other improvements at the same time. They may have other plants that are in the same boat so the pressure on capital is huge. I am sure that many, if not all, systems integrators would say the same, but finding enough talent to grow at the rate we want to grow has been a significant challenge for us. We prefer to hire instead of use contract hires, but we are also seeing the need to have more of a global workforce with some of our clients. This poses additional challenges. You need to figure out Visa’s, tax laws, cultures, how to get paid, etc. This is much more work than it sounds like from the surface. The other challenge is implementing new technologies that flood the market every month. Our clients want to have the latest, greatest technology, whether or not they’ve been proven well yet. This introduces some huge risks into the project and our PM’s need to aggressively manage that risk. New technology is here to stay and is the lifeblood of our business. It’s imperative that systems integrators figure it out or die on the vine. How has Interstates grown or changed in the past year and what do you expect for your company in the next 12 to 24 months? Interstates has been on a steady growth pattern for many years but this past year has been one of tremendous growth. In the month of May we hired 20 + new employees across our controls, manufacturing IT and business intelligence divisions and are budgeting for similar growth for next year. With the forecasts that Alan Beaulieu, Ecotrends economist, presented again at this years’ CSIA annual conference we will likely see a slight slowdown coming, but nothing that should keep us from hiring well into the next 24 months. With this kind of growth we will need to revamp our employee onboarding and training programs to keep up with the need. We are seeing more need for a remote workforce as we continue to hire new college grads, as many of them want to work where their hobbies are or where their families are. I personally think this will be seen even more in the next 12 to 24 months. One of the things that we are seeing more and more of is how Big Data is being looked at by most of our industrial sectors. We have worked to become experts at helping our clients interpret their data and visualize it so they can make good management decisions from it. Everyone is having to do more with less and if they can improve efficiency this allows them to have more money to do capital projects. We are also seeing the early phases of the Industrial Internet of Things starting to hit plant floors and thus drive us to do more R&D to help our clients make better decisions about how to implement this technology at the plant level. The market is still immature but getting closer to being ready for prime time. With that though, our clients need more help in designing their networks of the future to ensure they have the backbone to handle the data that will need to be transmitted. Our clients are looking to us to be the experts in this as well. Why did Interstates become a member of CSIA? Interstates saw CSIA as a way to meet and network with the “best of the best” in systems integration. We found that the principal on which CSIA’s founder Charlie Bergman built the association was absolutely the best way to learn and grow — “Give one thing away and you will get 10 back.” In the early days I am sure many of the things I gave away were really not that great. However, as I continued to improve our systems through continued sharing and networking, I was later able to give back much more. I now am a mentor for new CSIA members who are trying to figure out how to get the most out of CSIA and, in particular, are looking to implement best practices and move toward a Certification audit. Over the years, I have heard many systems integrators say things like “I’ll work on becoming Certified when our clients start asking for it.” My response is that I really don’t care if my clients are asking for it I am doing it to improve my business and keep more of our hard earned money in the company. There is no doubt in my mind that we are a much better company today because of CSIA and the implementation of Best Practices into all of our systems. Tell us how you got started in the business of control system integration. It was really by accident for me. I was between jobs at the time and showed up in the small town of Sioux Center, Iowa for a job interview with a firm looking for what they were calling an “engineering” position. It turned out to be a drafting position, but I noticed the Interstates Electric and Engineering building on the outskirts of town. I stopped in to find out more about them and dropped off a resume. On the way home that day I had a call from the engineering manager who wanted me to come in for an interview the next day. When I met with their leadership team and saw how they embraced servant leadership at all levels I knew I had found my new employer! They were looking for someone to come in and get a handle on project delivery for them and build systems to make successful projects more repeatable. I then joined CSIA and the Best Practices Committee and learned what it took to run a successful systems integration firm. Within two years I had worked with my team to build our methodology, templates, tools, etc. to move forward with our first CSIA Certification audit. The control system integration market space has a huge amount of variety and is always changing which was another pull for me. I  have never looked back in the 17 years I have been at Interstates or wondered if I made the right move. What is the biggest benefit of CSIA membership for Interstates Control Systems? Interstates has been a member of CSIA for many years and absolutely without a doubt one of the key benefits we get is the learning, growth and networking at the annual conference. If your company has not been to one of these yet you do not know what you are missing. Through our relationships built at the annual conference we joined peer groups at both the executive level operations levels and I cannot say enough about how that has helped us improve. Another key benefit from the relationship building we find at the annual conference are the partnerships we have built with both vendors and other systems integrators. Interstates Control Systems is a CSIA Certified control systems integrator. When someone asks, “Why should I hire CSIA Certified?” what would you tell them? The CSIA Certified designation tells the client not only that the systems integrator has good policies and procedures in place to execute projects with excellence, but they have also been audited by an independent consultant to ensure they follow industry-leading best practices. This is something that Interstates takes great pride in. We have been audited five times now, and each time, we learn things to continue to improve our business as well as our overall delivery to our clients. Through implementing best practices into our organization we have been able to maintain a 15% growth in revenue on average for the past 20 + years. In my mind this would not have been possible or would have been much more painful without the influence of CSIA. Why did you choose a career in control system integration? I started my career out in the electrical power industry working for Arkansas Power & Light. I soon realized that living 1,000 miles from home had both advantages and disadvantages — especially in the cost of babysitters! I had always enjoyed the classes in college that related to control systems, so when I decided to make the move to Interstates Control Systems I was excited to get my hands dirty again. I soon realized that what I had learned in school was quite different than the more modern control solutions Interstates was building and integrating. What I the most rewarding was the integration of all systems into a single, cohesive platform that enabled the client to have a better overall system. I absolutely loved working with the team to bring the system into the plant and really showing the client how it could improve their overall production throughput and quality.